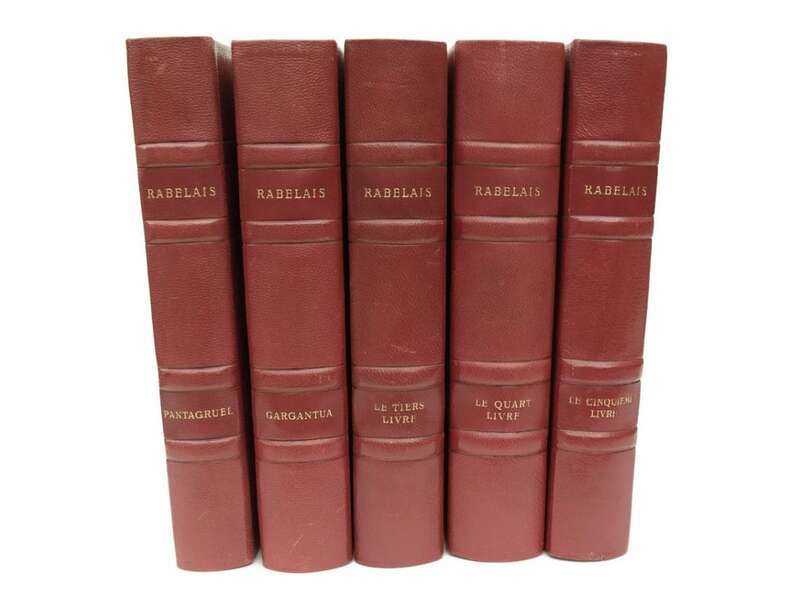 A 5 volume set of the complete works of the famous 15th Century French writer Francois Rabelais . The collection of hard cover books was printed in the 1930s by the editors Union Latine and translated into modern French by Raoul Mortier. 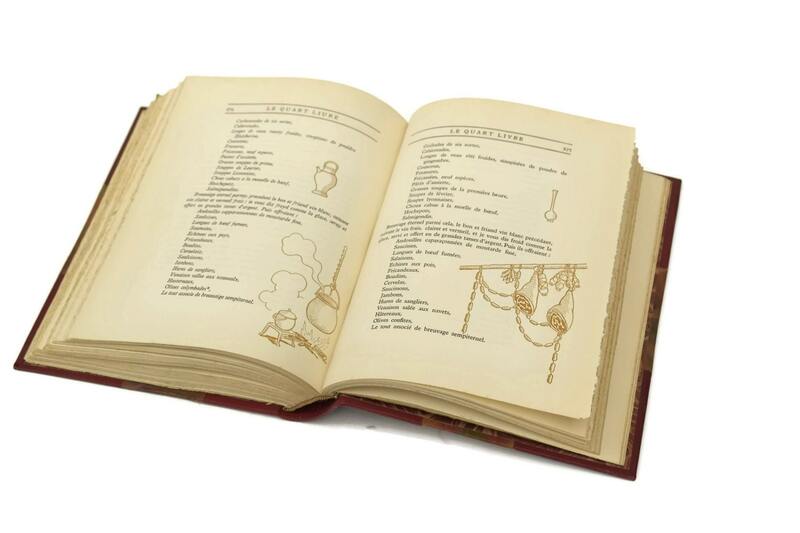 The first book in the set of collector's editions has been numbered 1,305. 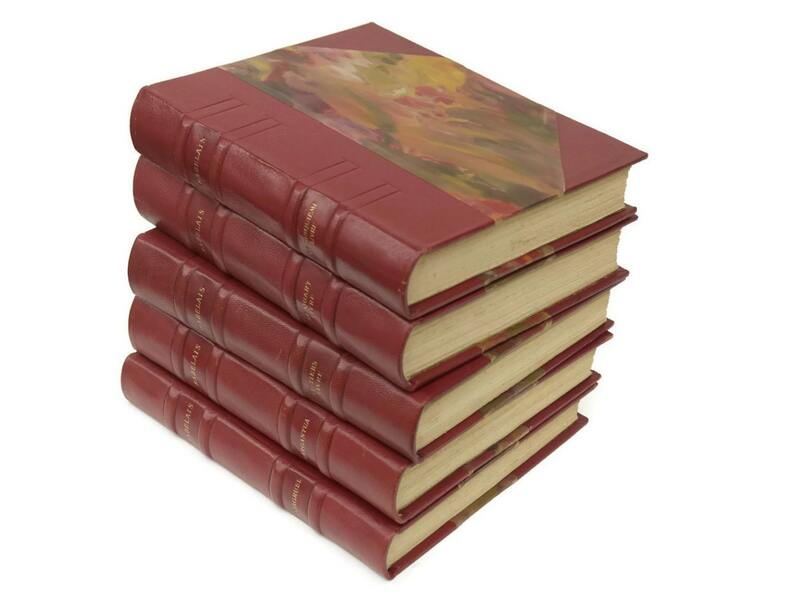 Each volume in the set has been half bound in red leather with contrasting marbled paper and the spines have been embossed in gold. 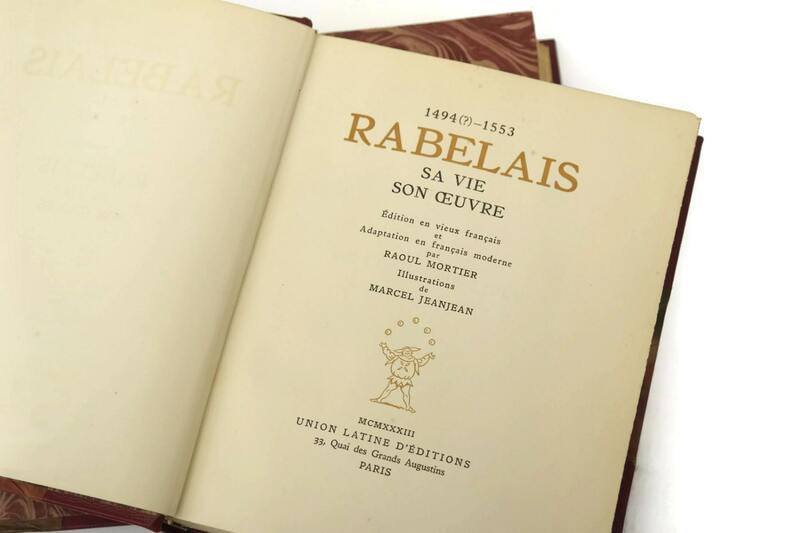 Included in the book collection of the life and works of Rabelais are the following volumes: "Gargantua", "Pantagruel", "Le Tiers livre", "Le Quart livre" and "Le Cinquième livre". Full color illustrative plates in the books are by the artist Marcel Jeanjean. Each volume measures 7.25" Wide x 9" Tall (18 cm x 23 cm). 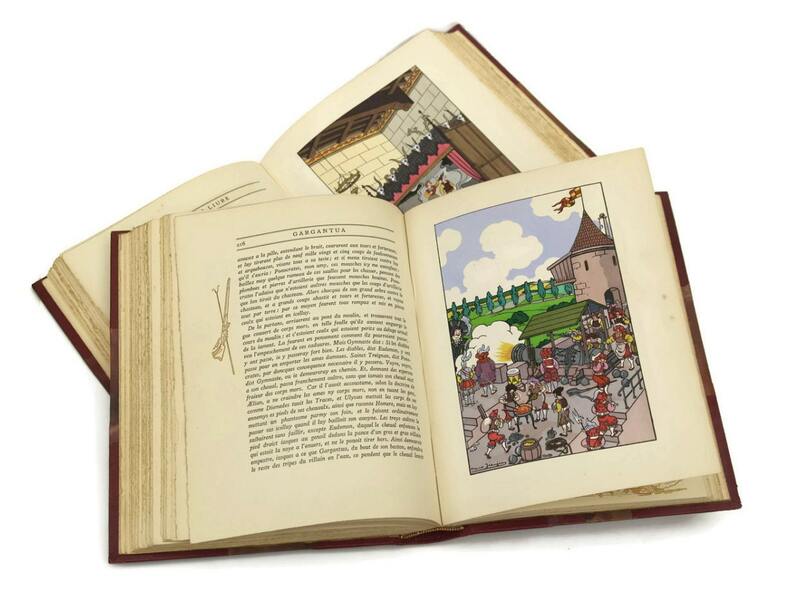 The set of Rabelais books is in good condition with age-appropriate wear including light marks and wear to the covers and age marks and foxing to some of the printed pages.